In advance of President Barack Obama’s historic visit to Cuba on March 20, there is speculation about whether he can pressure Cuba to improve its human rights. But a comparison of Cuba’s human rights record with that of the United States shows that the US should be taking lessons from Cuba. These human rights are enshrined in two treaties International Covenant on Civil and Political Rights (ICCPR) and the International Covenant on Economic, Social and Cultural Rights (ICESCR). The United States has ratified the ICCPR. 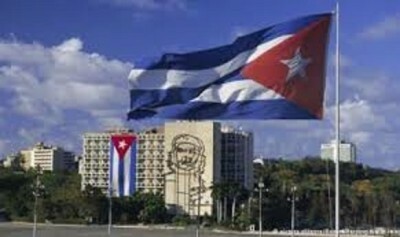 The US government criticizes civil and political rights in Cuba while disregarding Cubans’ superior access to universal housing, health care, education, and its guarantee of paid maternity leave and equal pay rates. Healthcare in Cuba emphasizes prevention, rather than relying only on medicine, partly due to the limited access to medicines occasioned by the US blockade. In 2014, the Lancet Journal said, « If the accomplishments of Cuba could be reproduced across a broad range of poor and middle-income countries the health of the world’s population would be transformed. » Cuba has developed pioneering medicines to treat and prevent lung cancer, and prevent diabetic amputations. Because of the blockade, however, we in the United States cannot take advantage of them. Free education is a universal right up to and including higher education. Cuba spends a larger proportion of its GDP on education than any other country in the world. « Mobile teachers » are deployed to homes if children are unable to attend school. Many schools provide free morning and after-school care for working parents who have no extended family. It is free to train to be a doctor in Cuba. There are 22 medical schools in Cuba, up from only 3 in 1959 before the Cuban Revolution. Women make up the majority of Cuban judges, attorneys, lawyers, scientists, technical workers, public health workers and professionals. Cuba is ranked first in Save the Children’s ‘Lesser Developed Countries’ Mother’s Index. With over 48% women MPs, Cuba has the third highest percentage of female parliamentarians in the world. Women receive 9 months of full salary during paid maternity leave, followed by 3 months at 75% of full salary. The government subsidizes abortion and family planning, places a high value on pre-natal care, and offers ‘maternity housing’ to women before giving birth. A study by Cornell Law School found no one under sentence of death in Cuba and no one on death row in October 2015. On December 28, 2010, Cuba’s Supreme Court commuted the death sentence of Cuba’s last remaining death row inmate, a Cuban-American convicted of a murder carried out during a 1994 terrorist invasion of the island. No new death sentences are known to have been imposed since that time.